Would you like to volunteer to help in art class? E-mail penelope_drown@whps.org if interested! Click here for this year's art class schedule! Would you like to volunteer to help in art class? E-mail me at penelope_drown@whps.org if interested! Hi! 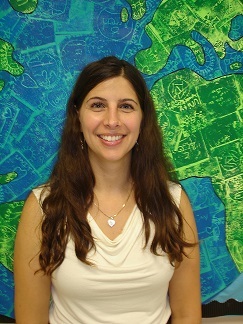 My name is Penelope Drown and I have been teaching Pre-K through Fifth grade Art at Charter Oak for 19 years. I earned my Bachelors in Fine Arts from the University of Connecticut and Master's in Art Education from Central Connecticut State University. I am passionate about teaching and allowing kids to express themselves creatively. I love when my students get excited and feel proud about what they have achieved. I have the privilege to witness this and be part of their accomplishments! How lucky I am! When am not teaching, you will find me with my daughter, Pia taking long walks and enjoying our time together. Family time is important, so on the weekends my husband Robert, Pia and I plan adventures!